Danny does a lot of traveling to gather the resources he needs to liberate the Parthenon Marbles from the British Museum. On this page you’ll find information about and links to every place Danny travels to. Kefalonia, in the lovely village of Argostoli. At a small taverna, Danny tricks his friend Gerasimos into giving him the assurance he needs that Greece will fight to keep the Marbles should he be successful in obtaining them. To obtain the funds he needs to pull off his heist, he must visit his benefactor and long time friend in the village of Pessada and try to convince her his plan is not insane. Elani is a powerful woman with many powerful friends and her passion for the return of the Marbles is great. Danny must obtain information critical to his operation and for that he needs to travel to the United States. But first, he has to find a way to enter the country without passing through customs. To pull this off, he must first travel to Frankfurt, Germany and then to a secret compound outside the city of Aschaffenburg, Germany to meet with the nefarious, underworld boss, Dieter Shultz. Danny next flies to San Francisco, California – USA to visit Octavio Wu, an old and dear friend, and obtains security diagrams and architectural plans for the British Museum. It is here that he is warned of the conflict between Shultz and an Interpol agent named Henri Marceau. He is plagued by mishaps on this leg of his journey (though he does manage to pick up some Peet’s Coffee) and makes a startling discovery as he is boarding the plane home. 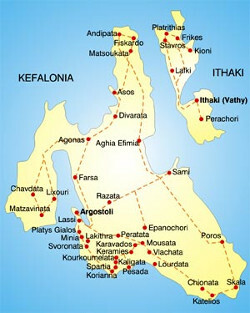 Back on the island of Kefalonia, he discovers he has acquired some followers. Through sleight of hand and the help of island friends, he eludes his followers and flies to Istanbul, Turkey to meet with Mackenzie Zaganos, the first of the inner circle of friends he will need to successfully pull off the heist. From there, he flies to Athens, Greece to locate Andreas Agani, the second of the inner circle. Once there, he must enter the labyrinth known as the Plaka to find this secretive smuggler. With two of the inner circle in, Danny returns to his island home to confront his biggest obstacle. He has become estranged from Kaz – his lover, his friend, his partner-in-crime – over his theft of the Washington painting from the White House, an act even he now accepts as foolish. He suspects that part of the reason he’s decided to steal the Parthenon Marbles is because he knows he must have her on the team to pull it off. Consulting with his friend Spiros, he finds that Kaz is staying at a flat they own in the South of France. 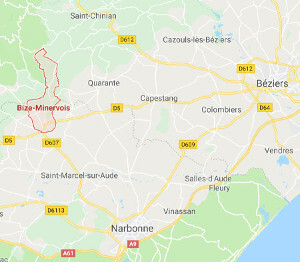 With a heavy heart and a great deal of trepidation, he flies to Montpellier, France and from there, travels by car to the most beautiful village of Bize-Minervois. After a good deal of emotional upheaval, Danny and Kaz reunite on firmer ground than ever. She quickly groks his plan and begins adding her special touch. The other two members of the team are contacted and soon they are all together. They travel to St. Chinian to go over the details of the heist. Afterward, Mac, Andreas and Kaz leave for London while Danny stays behind. Danny travels to Narbonne to do some further research and is captured by Marceau, a corrupt INTERPOL agent. In the midst of a severe beating, he is rescued by Kaz and driven to a small cottage outside the village of Capestang. She then actually does leave for London and Danny follows a few days later. London, England, the home of the British Museum. Here the plan unfolds and the Parthenon Marbles are liberated but they are a long way from being free. Danny and Company then begin their long journey across Europe to Greece. 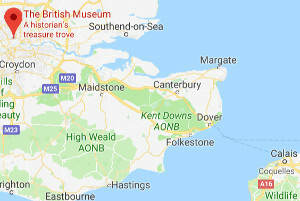 Their first stop is in Folkestone, England to board the Chunnel to Calais, France. They begin their perilous journey with a disastrous and deadly stop in Germany and a brief, sad delay in Albania before reaching their final destination in Athens.